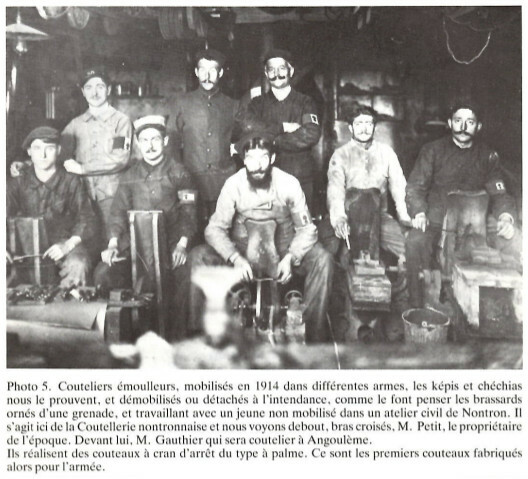 On the occasion of November 11th, a little history lesson on the presence of the knives made in Nontron with one of the equipment of Les Poilus. Among the many knives of Nontron on sale on our online store is a particular model: a knife with a detent which is in fact the reproduction of the original model developed during the war of 14-18 by the Nontronnaise cutlery. It was interesting to dwell on this knife on the occasion of the November 11th Armistice commemoration. Let us go back a century ago: two families who will mark the history of the Nontron more than a century, the Bernard and Petit, owners of the Nontronnaise cutlery manufacture knives since the late seventeenth century. When the Great War occurs, when the countryside is empty and young people go to the front, the two cutlers receive a providential order from the Ministry of War: making knives with flick for the army. Manufacture of knives with lock in Nontron. A model similar to the one on sale today, is then designed and will accompany the pockets of many soldiers during the conflict. The famous wooden box handle is of course present, but the characteristic of this folding knife comes from its closing system: if the lock of Nontron knives is traditionally provided by a system of rotating shell, the heel of the blade of the notch stop comes here to hook on the flat spring that covers the back of the handle. To unlock the knife, simply lift the ring on the palm. 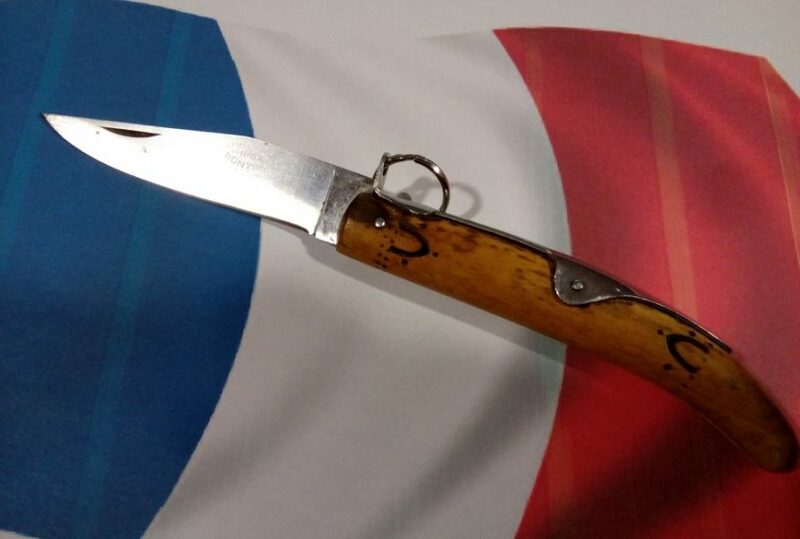 Now a leisure accessory, buying a Nontron knife with a detent is a different way of approaching the history of France.